According to a description of the experiment posted online, the Chinese scientist created embryos from couples with an HIV-infected father. The "designer babies" experiment was publicised in a a serious of YouTube videos. A Chinese scientist triggered alarm, shock and confusion across the scientific community Monday with the claim that he had edited the DNA of human embryos to create twin baby girls, Lulu and Nana, who he said had been born "crying into the world as healthy as any other babies" a few weeks ago. The controversial experiment, publicized through the media and videos posted online by He Jiankui of Southern University of Science and Technology of China, was criticized by many scientists worldwide as premature and called "rogue human experimentation." More than 120 Chinese scientists called the experiment "crazy" in a letter, adding that it dealt a huge blow to the global reputation of Chinese science. Southern University said in a statement it would be investigating the experiment, which appeared to have "seriously violated academic ethics and codes of conduct." He's unverified claim came on the eve of an international summit dedicated to discussing the emerging science and ethics around powerful tools that give scientists unprecedented potential to tweak traits and eliminate genetic diseases - but that have raised fears of "designer babies." By editing the DNA of human embryos, scientists change not just the genes in a single person, but all their potential offspring - in effect, altering the human species. "Here you have a scientist changing the human race, and you have a YouTube video about it, with no [scientific] paper. It's just almost surreal," said Eric Topol, founder and director of the Scripps Research Translational Institute, who said he has seen some of the data behind the experiment. "This guy must have just remarkable chutzpah to proceed. Basically for the first time in history, he has used this powerful tool in a reckless way for no good reason." A physicist by training, He told the Associated Press that embryos from seven couples who underwent in vitro fertilization had been edited. He said he used a tool called CRISPR-Cas9 that can make targeted cuts to DNA - to disable a gene that allows HIV to infect cells - with one successful pregnancy so far. He did not respond to attempts to reach him by email and phone. "I think this just shows the time is now that you have to talk about the ethics of genome editing, because the world may not wait," said Insoo Hyun, a bioethicist at Case Western Reserve University. "We don't know how much of this is true or verified. These are all kinds of . . . rumors at this point . . . but in terms of scientific and medical rationale, I don't think there is one." According to a description of the experiment posted online, He created embryos from couples with an HIV-infected father. The use of the technology immediately raised questions from ethicists since there are other ways to prevent HIV transmission to a fetus, and many think that the first applications of gene editing should be reserved for diseases that are deadly with no treatment options. In a video released on YouTube, He said that only a single gene had been changed, but gene editing is known to introduce unintended genetic effects that could raise concerns - either for the children themselves or the human gene pool if the children grow up to pass on their genes. In a series of videos posted on YouTube, He explained that his experiment had worked and that the gene editing hadn't made any unintentional changes to the children's DNA, but Topol said that it was "frankly not possible" to make that claim and added that now Nana and Lulu's offspring would be affected in ways that no one fully understands. He, who is also a founder and chairman of Direct Genomics, a DNA sequencing company, sought to differentiate himself from those who would recklessly use the ability to tweak the genome to create designer babies. "Gene surgery is and should remain a technology for healing. Enhancing IQ or selecting hair or eye color is not what a loving parent does. That should be banned," He said in one of the videos. "I understand my work will be controversial, but I believe families need this technology, and I'm willing to take the criticism for them." The public announcement was highly unconventional, with no supporting data provided to verify the claims and no submission to the traditional process of peer review. It raised deep questions for scientists about whether traditional oversight channels were followed, as well as what to believe about the experiment and the results. He posted an ethical approval form for the process on his website. Jennifer Doudna, one of the pioneers of genome editing from the University of California, Berkeley, said that the experiment appeared to be a "clear break" from the cautious and transparent approach recommended by international leaders. "The lack of transparency and disregard for risk are deeply concerning," Doudna said. "There are safe and effective ways to protect children from HIV transmission, so the study as reported does not appear to address an unmet medical need." 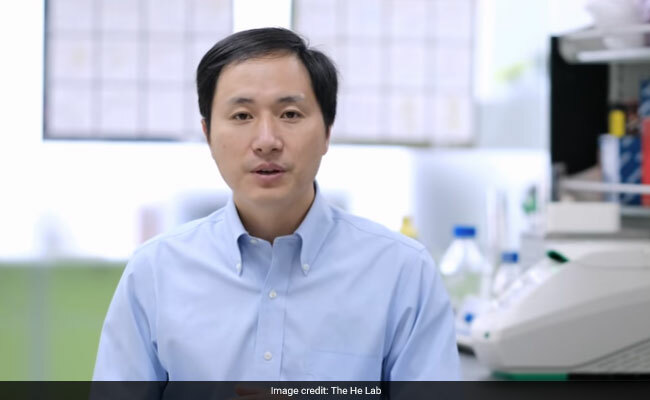 Feng Zhang, a leader in the field from the Broad Institute, called for a moratorium on implanting edited embryos until safety requirements have been set. "If it's true as reported then it's an extremely premature and questionable experiment in creating genetically modified children," said Jeffrey Kahn, director of the Johns Hopkins Berman Institute of Bioethics. "There's much to understand and discuss about oversight or lack thereof." When the international gene-editing summit was last held, in 2015, scientists who organized the meeting concluded with a statement calling it "irresponsible to proceed" with editing human embryos until "there is broad societal consensus about the appropriateness" of any proposed use. "While each nation ultimately has the authority to regulate activities under its jurisdiction, the human genome is shared among all nations," the statement said. Matthew Porteus, a pediatrician and stem-cell scientist at Stanford University who is on the organizing committee for the meeting in Hong Kong, said that the announcement highlights the weaknesses of the current regulatory system. "This is not the way I would like to see science advance. I have serious concerns," Porteus said. Southern University of Science and Technology, the institution where He is on unpaid leave, released a statement condemning the experiment, saying the university was "deeply shocked" by the news and had called an emergency meeting. The research was conducted off-campus, and the university was unaware of the project, according to the university. "Coming on the eve of the second international summit on genome editing, this announcement looks like a cynical attempt to seize headlines," said Pete Mills, assistant director of the Nuffield Council on Bioethics, an independent body that has said that the use of gene-editing techniques in ways that could change the human species could be permissible in some circumstances - but that those circumstances do not yet exist. "If the claims are true, it is a premature, inexplicable and possibly reckless intervention that may threaten the responsible development of future applications of genome editing."